Haters, back off—these items are for candy corn lovers, only! 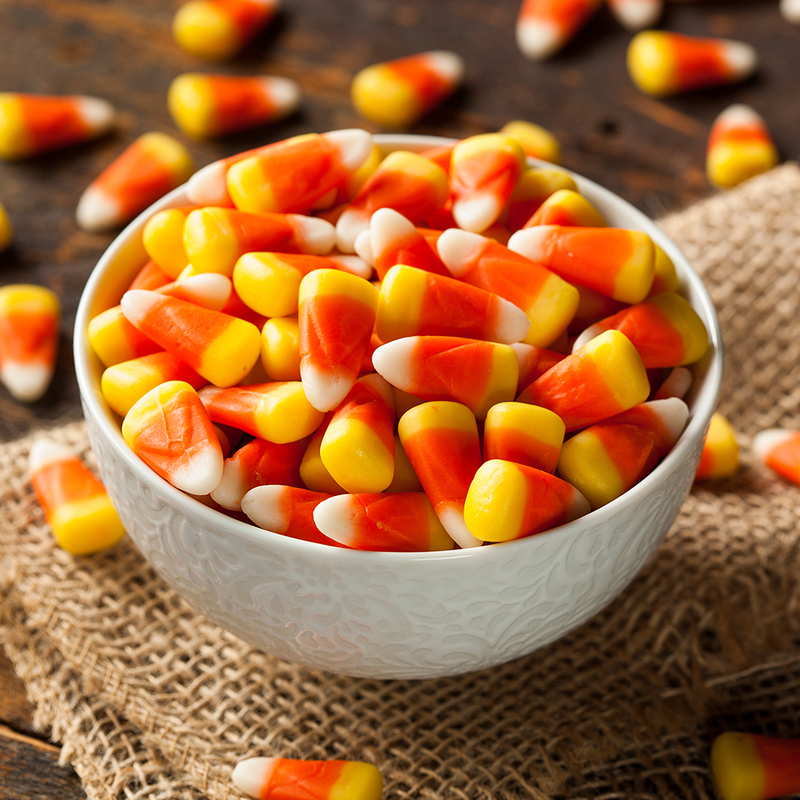 One of the best parts of Halloween is that it's the only time of year that you can admit to liking candy corn (or spend a good portion of October complaining about it without sounding insane). Sport your appreciation of the best-worst Halloween candy with these delightful clothes and accessories. Then, on Wednesday, you can go back to pretending you hate candy corn. 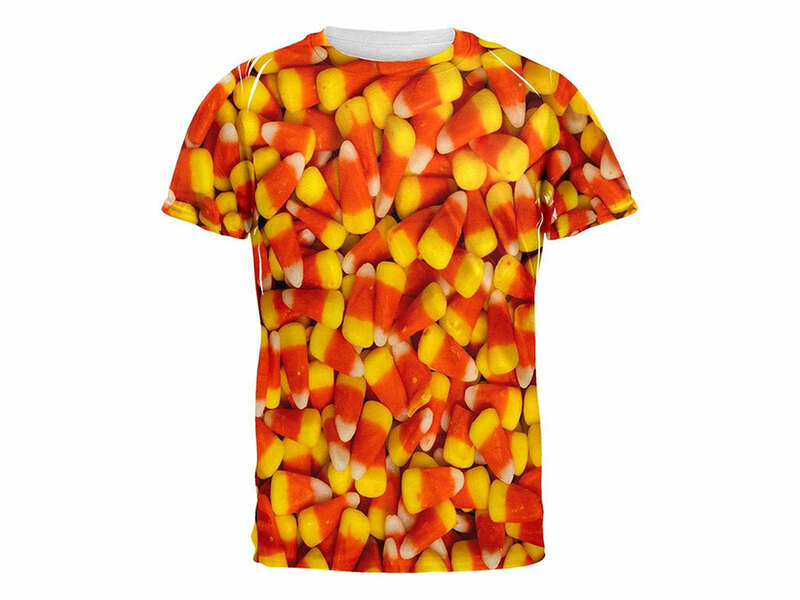 Shout your candy corn love loudly to the world with this bold all-over printed candy corn t-shirt from Old Glory. 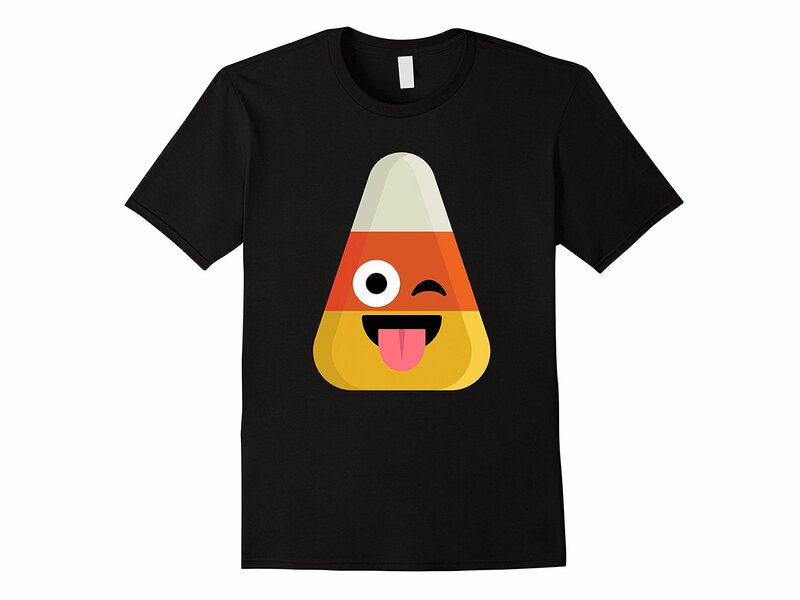 Or you could be a little more playful about it with this winking emoji t-shirt, except that instead of the usual round smiley face it's a candy corn. 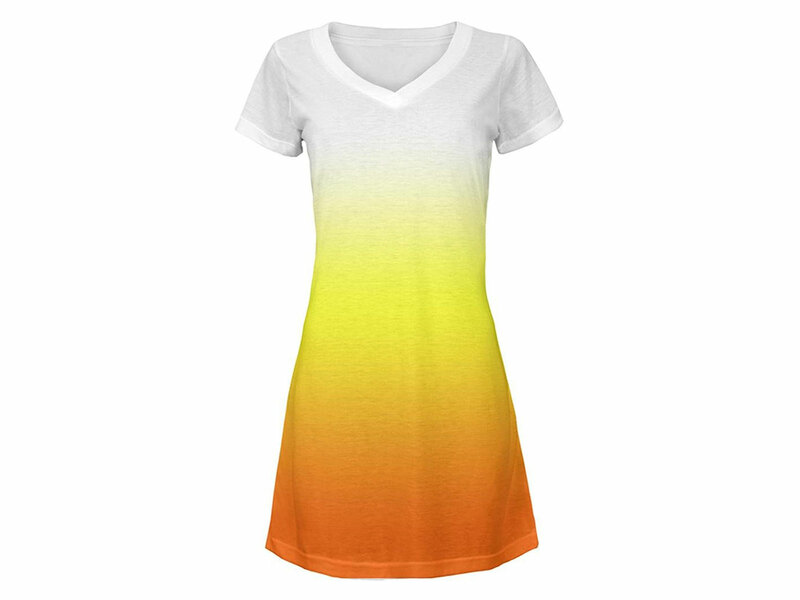 In true Halloween fashion, you can bare some skin while sporting your holiday spirit with this surprisingly short candy corn dress. 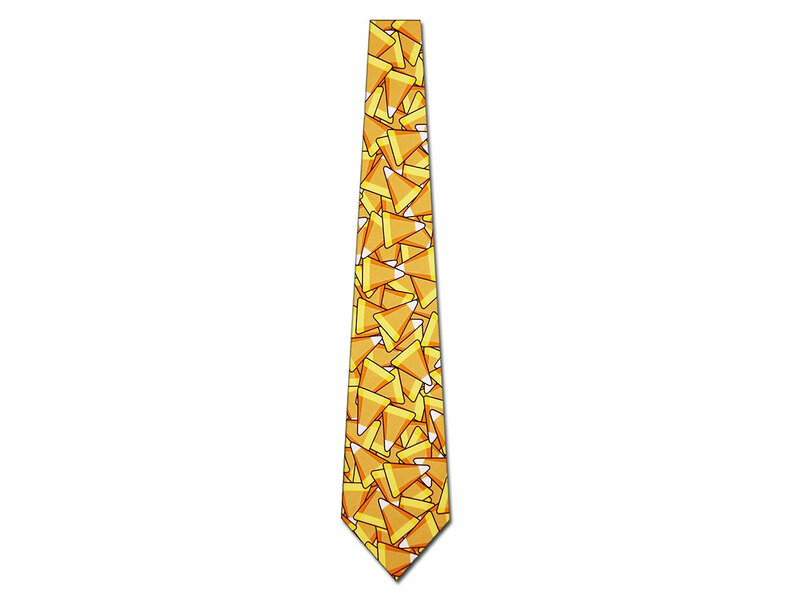 To incorporate your candy corn love into your workplace attire, try this delightfully bold candy corn-printed tie. 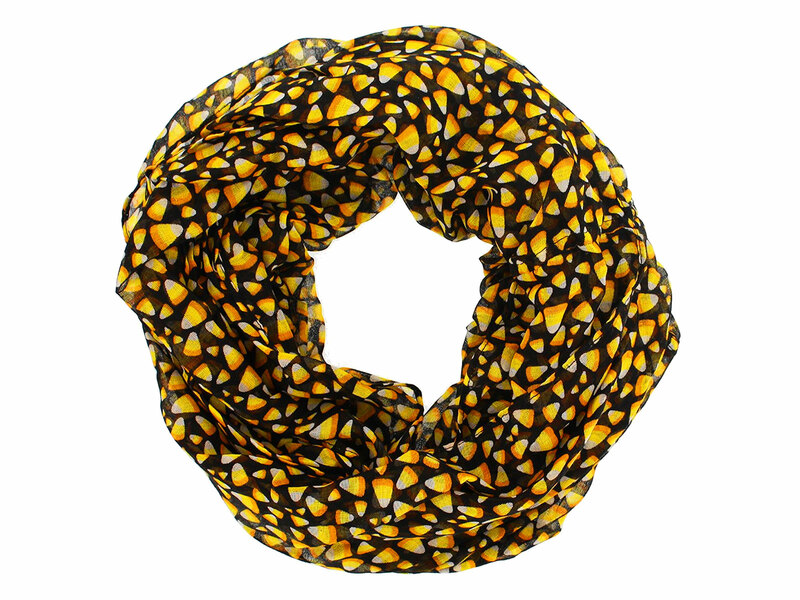 For a more fall-forward approach to candy corn neckwear, try this fun gauze infinity scarf. Maybe you don't want to look quite so obviously Halloween-obsessed at work. 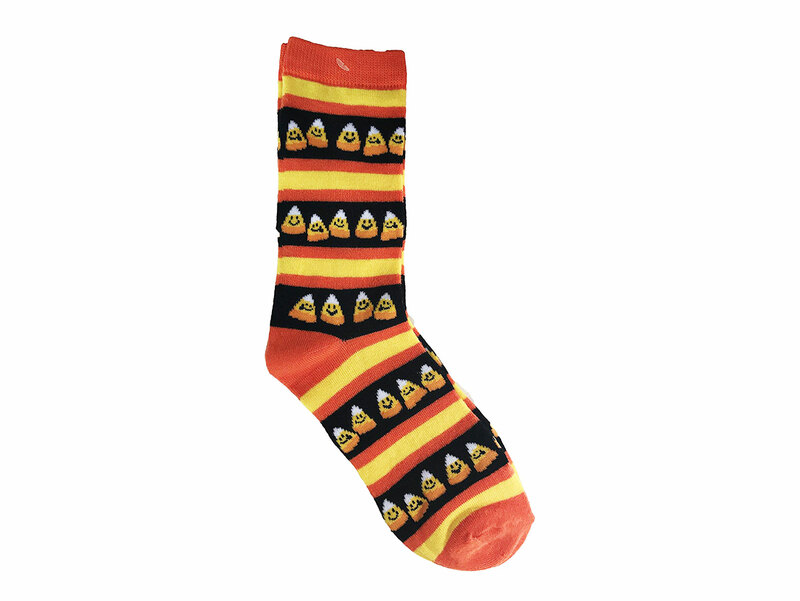 These striped candy corn socks will work the holiday spirit into your outfit without calling attention to themselves—at first glance, they pretty much just look like regular socks. On the other hand, these printed candy corn leggings scream, "Yeah, I love candy corn! So freaking what?" 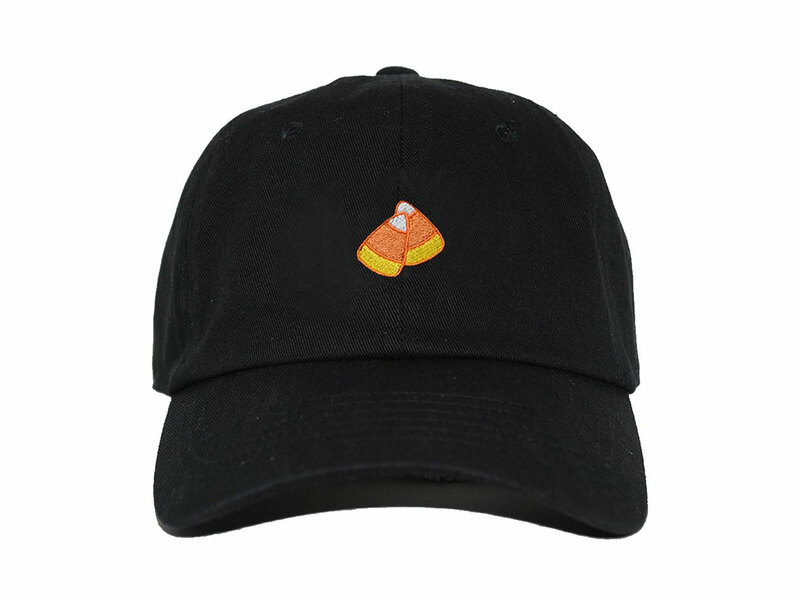 For that matter, if you want to be decked out in candy corn from your head to your toes, you're going to need a candy corn hat. This baseball cap should do the trick. 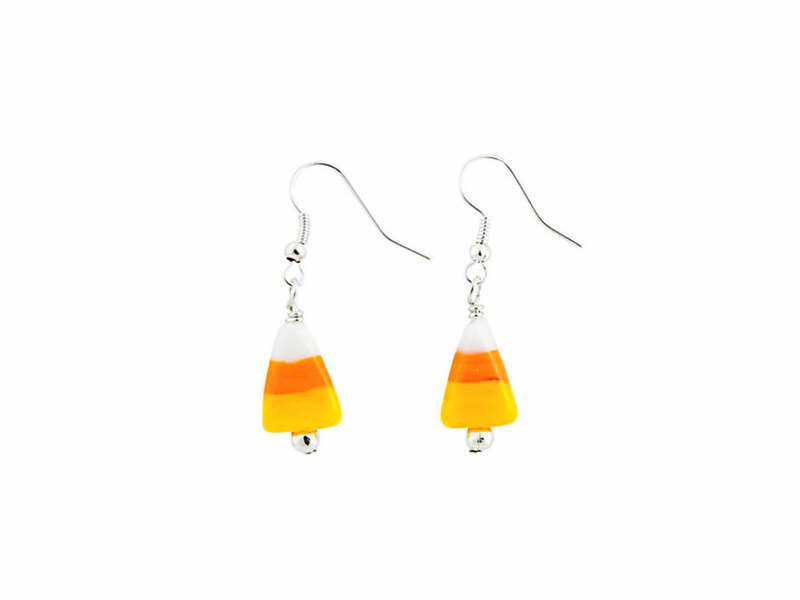 Even your earlobes can be in the holiday spirit with these charming little glass bead candy corn earrings. 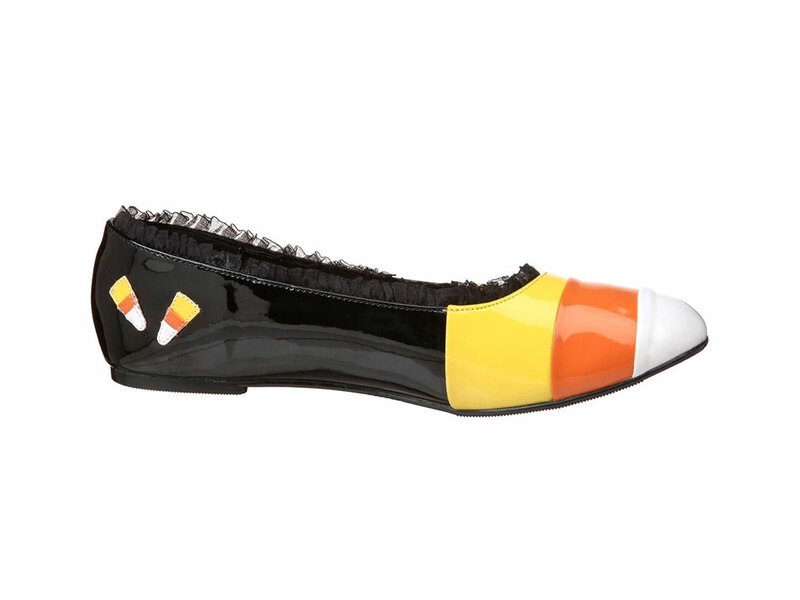 And as for the toes part of the head-to-toe equation, these candy corn ballet flats are the perfect Halloween footwear.